A+ Total Care Contents About Us Why Choose A+ Total Care? From urgent care to primary care, specialty services and occupational medicine, A+ Total Care delivers integrated medical services for yourcomplete health. Our interdisciplinary team of experienced providers and specialists are committed to knowing your unique health story and caring for you as a whole person. In choosing A Plus Total Care, you’ll appreciate our friendly staff, convenient on-site acute care clinic, lab and medical imaging, plus the peace of mind that comes from receiving a comfortable, seamless care experience coordinated under one roof. Having accessibility to timely, local, affordable medical care in a rural area like Elko, Nevada is critical to the wellness of the local community. That’s why in 2014, Lori Ayala, a registered nurse with 20 years of experience, opened the family-owned, A+ Urgent Care in Elko, NV. A+ Urgent Care brought a convenient, cost-effective alternative to the ER with its critical care walk-in clinic open daily at extended hours. Despite thousands of customers served and staff doubling over the next two years, Lori recognized a continuing need for supportive healthcare services in an area where resources are limited. 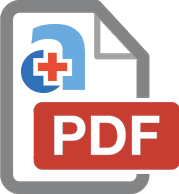 In March of 2016, A+ Urgent Care expanded its medical care offerings under a new name, A+ Total Care, with the addition of primary care and other specialty services available to existing and new patients. A+ Total Care follows a collaborative healthcare model that benefits the individual and community members by applying an integrated treatment approach. This means our diverse medical experts and services work efficiently together to bring you convenient, reliable care to maintain ongoing health and wellbeing at every stage of life. 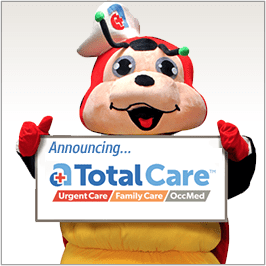 A+ Mascot, Nurse Boo Boo Bug helped announce the expansion of A+ Urgent Care into A+ Total Care in 2016. 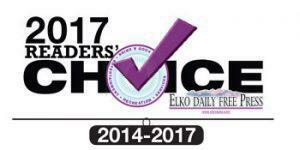 A+ Total Care is proud of the community support it’s received in being awarded the Elko Daily Free Press Readers’ Choice Gold in 2016 and 2015 for Best Medical Clinic and General Medical Facility, Bronze for Best Employer, Non-mining in 2016, and Silver for Best Local Medical Facility in 2017 and 2014.